Fly fishing is an art form that not everyone can master. It takes skill, patience, determination and knowledge. It can be very meditative and gives a sense of satisfaction with the perfect cast. As you cast a fly line back and forth immersed in your environment and focused on the present, you feel euphoric. 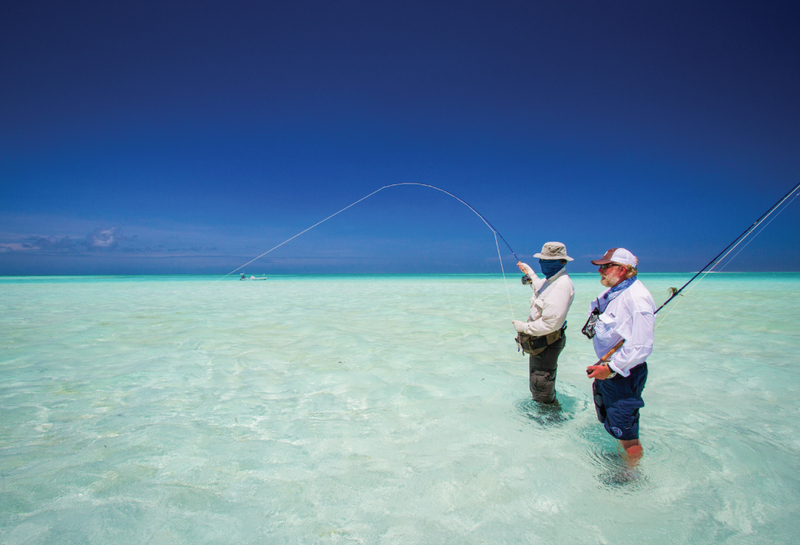 We want you to have the best experience on your fly fishing adventure at Alphonse Island, so here are a few tips that you may not have considered. A good pair of polarised glasses will go a long way – they will help you in the hot sun and help you spot pools of fish in the water. Take your time. You’re on holiday! Fish can sense movement, so moving slowly and stealthily will make fish less likely to scatter. Wear clothing that helps you blend into the environment. Don’t stand out like an obvious predator! 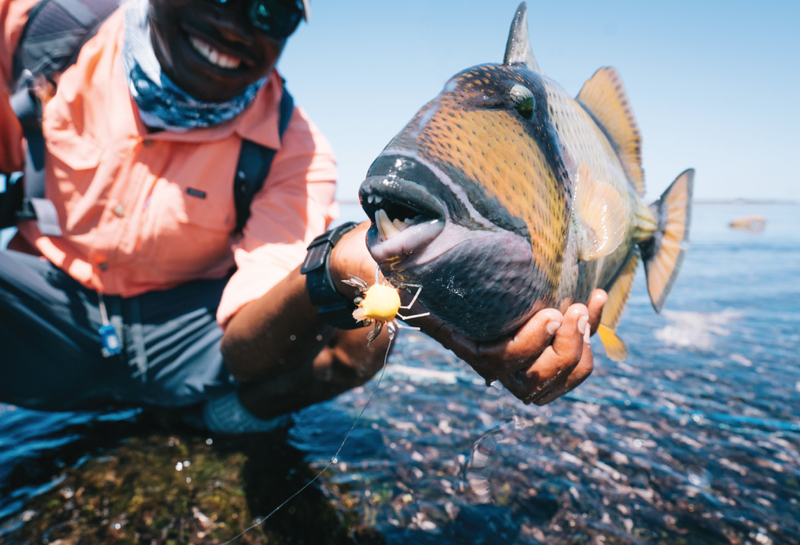 Always watch your fly – every time you cast, take a look at your fly to make sure the tackle isn’t damaged and the wings are in place. 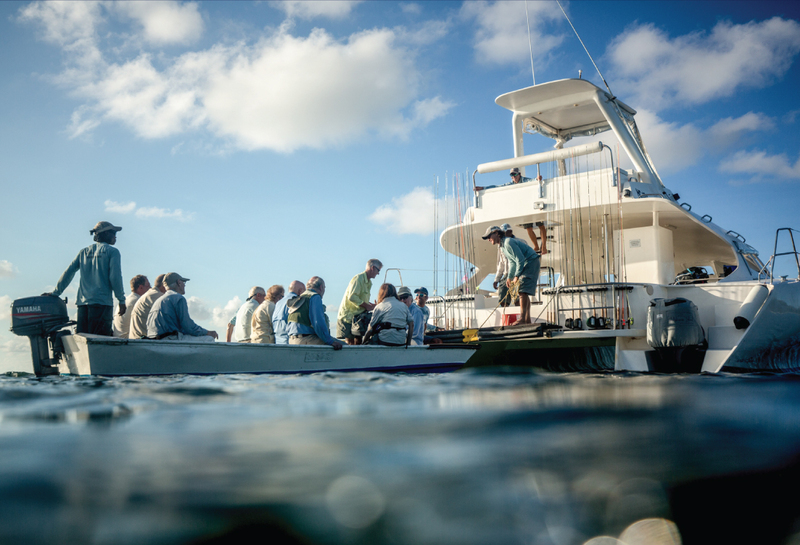 Don’t over drift – keep your line short in order to avoid line management problems. Lubricate your knot before tightening it and use nippers to trim the excess material. You need to have perfect timing and technique if you cast fast. This action can bring in a fish faster and is great if it’s windy. This can be difficult for beginners. This action is a great skill to be able to master. You can switch it up based on the situation and allows for versatility. This action also allows for versatility and flexibility to the situation. Improved line control and accuracy over fast-action. Suited to widest range of fishing conditions – Great, versatile rod choice for beginners. 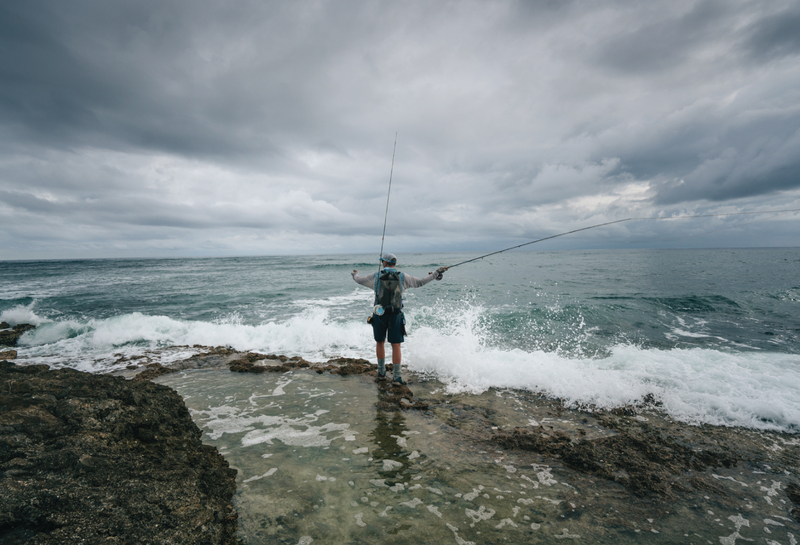 Choose this action if you need to make an accurate and gentle, short cast. This is typically a good cast action for beginners in order to have control as they increase in accuracy. Great for beginners, short casts, small streams and rivers. Not ideal for windy conditions. Whichever your style, you’re sure to not come out empty handed. 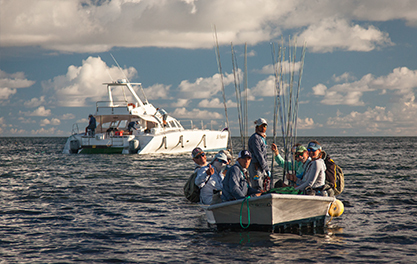 Book a trip with Alphonse Fishing Company today!